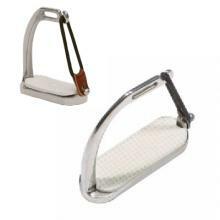 Made of high grade stainless steel with rubber side piece for quick excape. A must for the safety-minded. Available in 3-1/2", 3-3/4", 4", 4-1/4", 4-1/2" and 4-3/4".